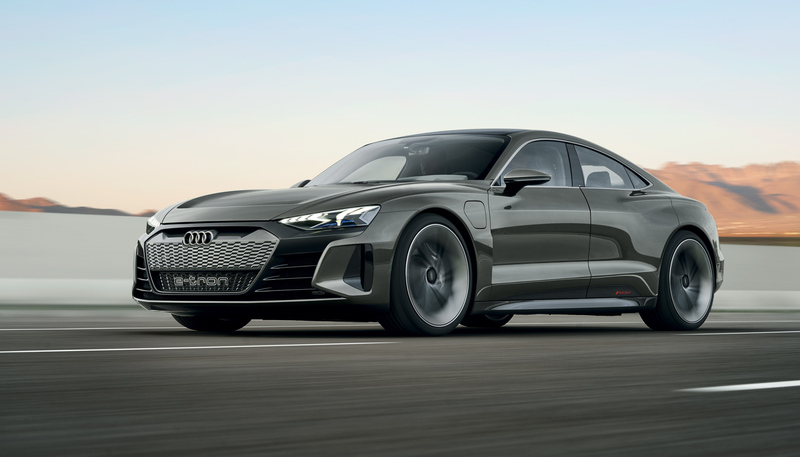 It has only been two months since the debut of Audi’s first electric car, the E-Tron SUV, but Audi is ready for another big electric announcement, the E-Tron GT Concept. 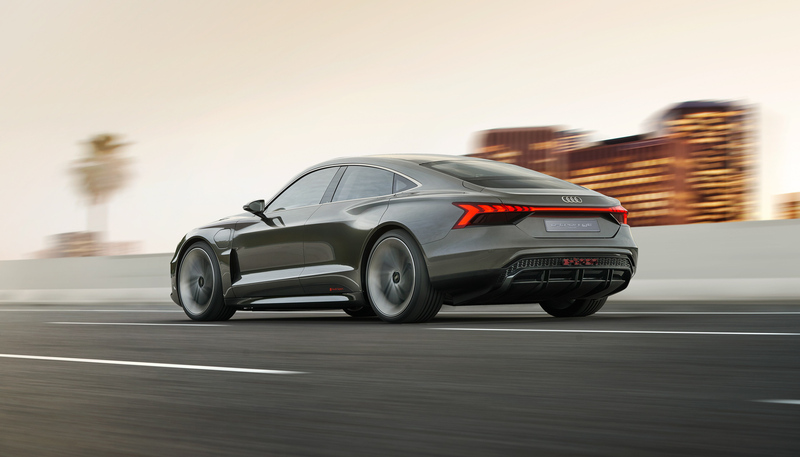 The sleek sedan gets its electric power from the same drivetrain and battery platform that will come in Porsche’s first EV, the Taycan. 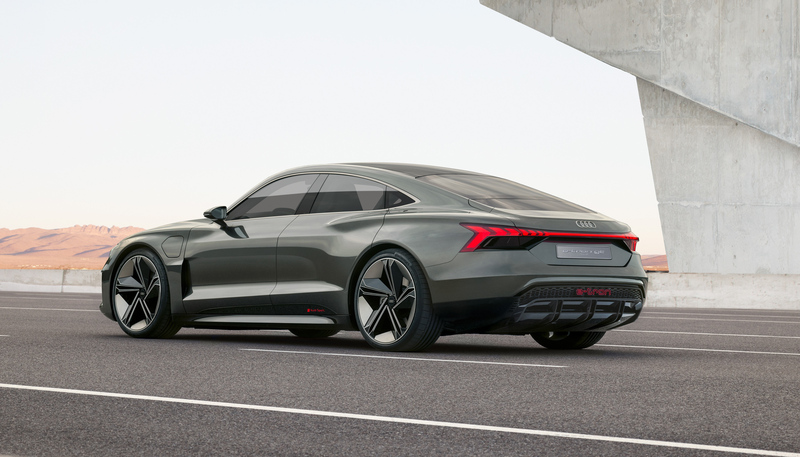 The E-Tron GT takes its power from a 90kWh battery pack and puts it to use through two electric motors (one on each axle). 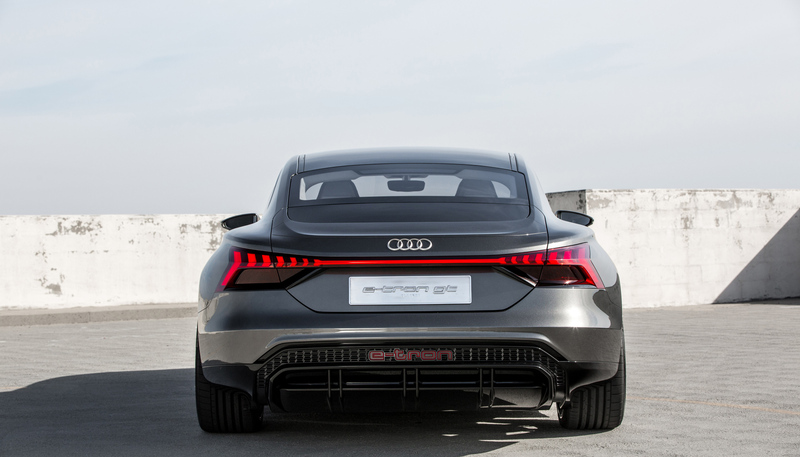 In total, the drivetrain creates 434 kilowatts of power or 590 horsepower which it conveys to the asphalt through a set of 22-inch wheels. 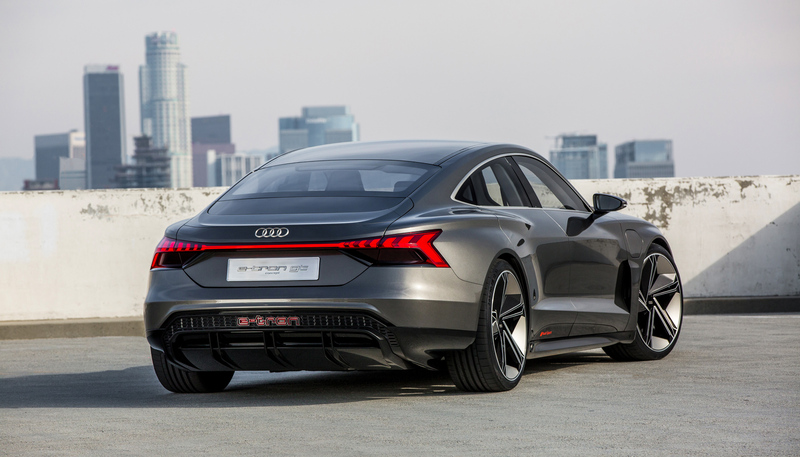 That’s enough power to launch the four-door sedan from 0 to 60 mph in just 3.4 seconds. 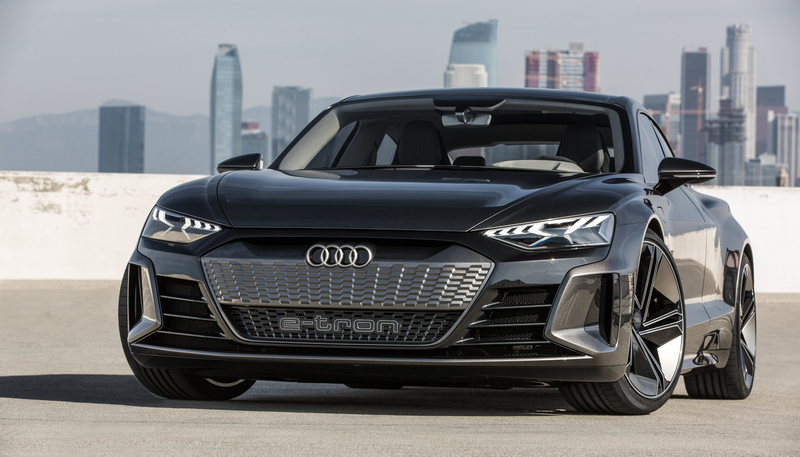 Audi estimates a range of about 248 miles for the E-Tron GT according to Worldwide Harmonised Light Vehicle Test Procedure (WLTP) standards. WLTP is definitely a little more forgiving than EPA numbers so real-world range might fall short of that mark. 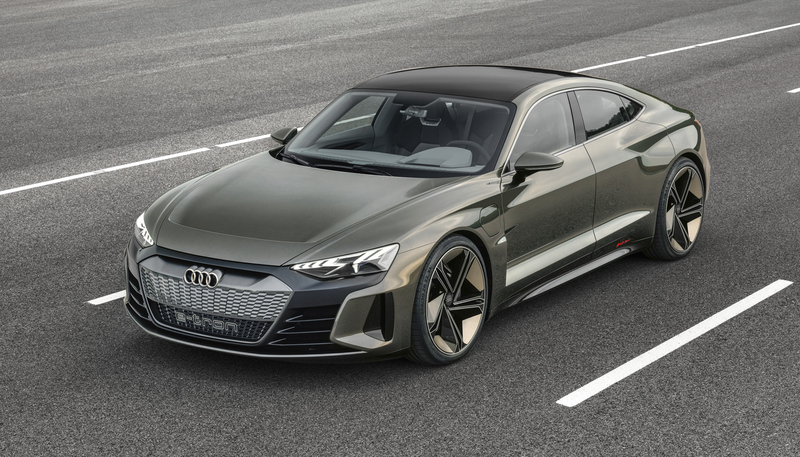 Just like the Porsche Taycan, the E-Tron GT will feature very quick charging. 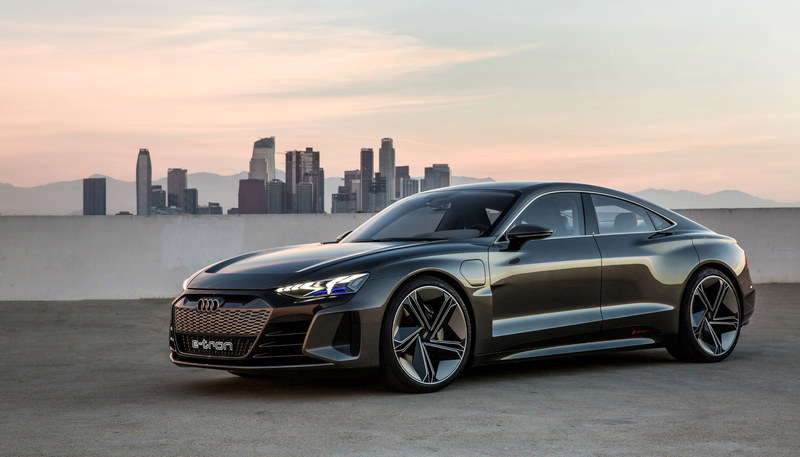 The 800-volt battery can rise from the dead to 80 percent charged in just 20 minutes, that bests even Tesla’s Superchargers. 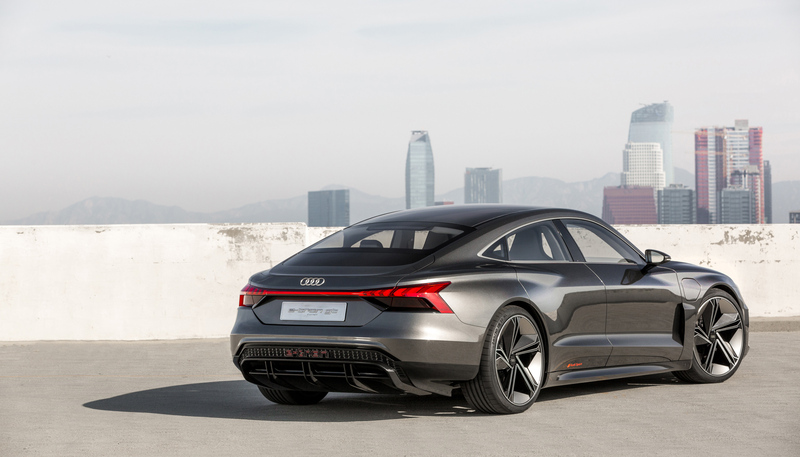 The concept will go on sale in two years, with deliveries starting in early 2021. No pricing has been set. 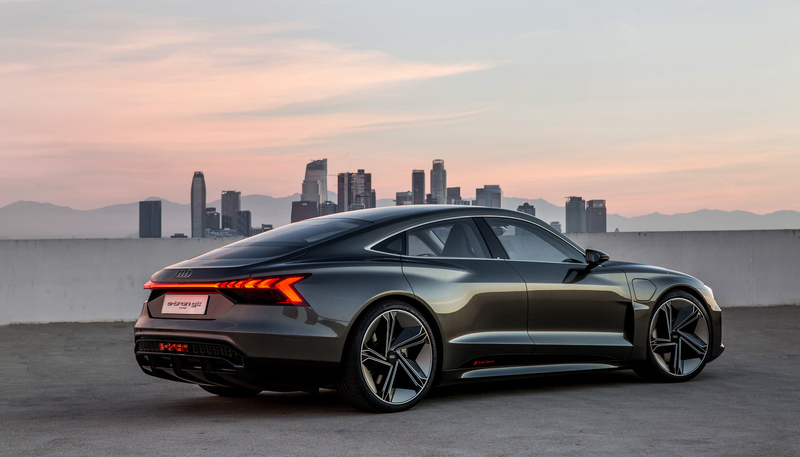 I won’t call it a Tesla killer, but it is a sign of things to come. 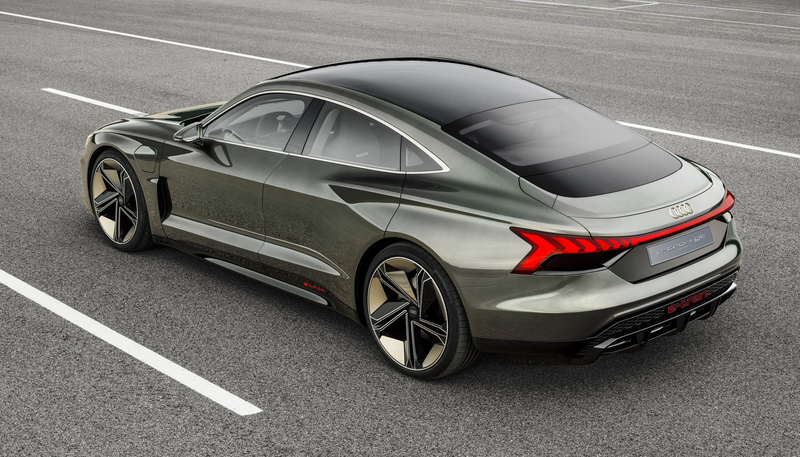 A wave of EVs are on the horizon, by the time the GT Concept is on the road, Audi will have the E-Tron crossover and its sportback already cruising with Mercedes-Benz, Volkswagen and domestic vehicles hot on its heels.